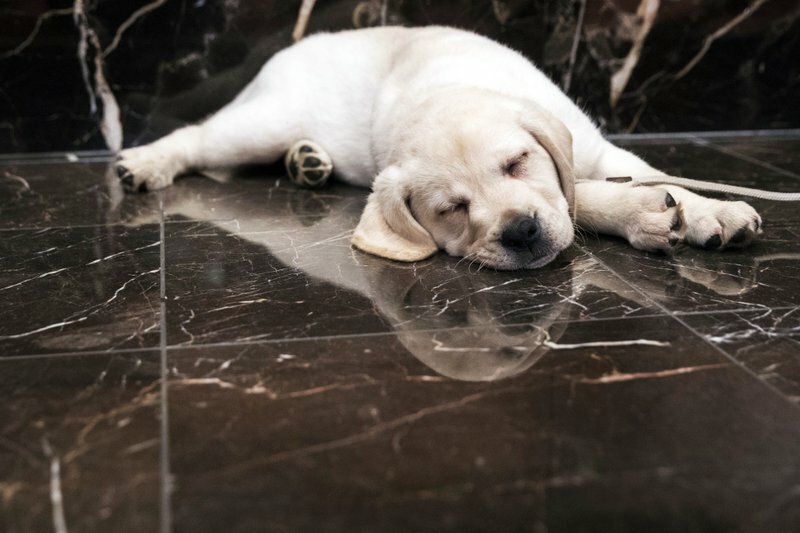 New dog owners can expect to shell out $1,200 to $2,000 in the first year , and as much as $14,500 over their pup’s lifetime, according to the American Society for the Prevention of Cruelty to Animals. And that’s just for routine costs. Emergencies will happen — and they will be expensive. “A good rule of thumb is the bigger the dog, the bigger the budget,” says Sarah Javier, president and executive director of the Animal Protective Association of Missouri. - Don’t overfeed. Feeding your dog too much can have a ripple effect. Not only will you have to buy more food more often, but you’ll also have to deal with medical expenses if your dog is overweight. Not sure how much is too much? The portion guide printed on your dog’s food label is a good place to start. - DIY groom. Baths, nail trims and haircuts can all be done at home. The ASPCA’s dog grooming guide has detailed tips for owners. Busy pet owners will inevitably need help caring for their pooch. If you don’t have someone to call on when you’re not home, you’ll need a dog walker and pet sitter from time to time. A 30-minute walk with Wag, a nationwide dog-walking service, is about $20. Overnight boarding with Rover’s large network of pet sitters typically runs $25 to $35 a night, but can be as high as $75 in some places. Local walking and boarding services are also available in most cities. A professional teeth cleaning costs $200 to $300, on average, but can vary depending on where you live. Your dog’s dental health will determine cleaning frequency, but annual exams and cleanings are generally recommended. - Regular brushing. Brush your dog’s teeth at home with a pet toothbrush and toothpaste to cut back on the number of professional cleanings. The American Veterinary Medical Association recommends brushing at least three times a week and has a video tutorial. Puppies need a round of immunizations in their first year, and when they’re older, they’ll need regular boosters every year or few years. These vaccinations are necessary to prevent more serious, and expensive, illnesses. A round of vaccinations for your puppy costs $75 to $100, on average, according to the American Kennel Club.